Recently, Rémy Martin revealed an opulent experience like no other when Thierry Arnold, International Brand Ambassador for the House of Rémy Martin joined industry and media attendees at a series of Opulence Revealed sessions. But these were not training sessions like you’ve ever seen or been to before. These were a new kind of disruptive educational way of creating engaging personal discoveries and experiences for those who thought they knew Cognac. These Opulence Revealed sessions represented an arresting, multi-sensory and interactive way to discover the multi-layered flavours of Rémy Martin’s exquisite and exceptional Fine Champagne Cognac – Rémy Martin XO. “It engages people through personal discovery and experience,” says Thierry. The Opulence Revealed table setting is a visual and culinary feast. 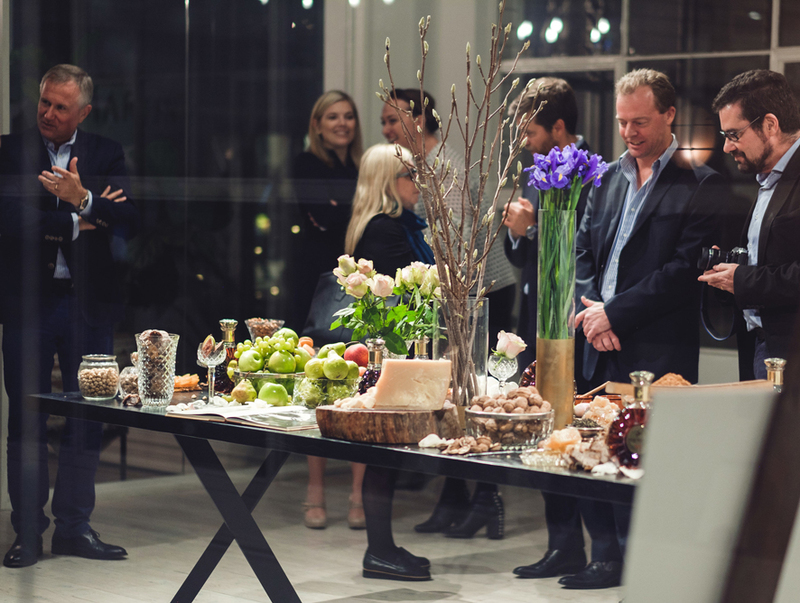 Attendees nose and taste a series of elements that brings the tastes and flavours of Rémy Martin XO to life. From tasting grapes that represent the harvesting of the grapes in the Grande and Petite Champagne regions through distillation maturation and finally blending – to a plethora of fruits, flowers, spices and other elements – these sessions were an opulent and unforgettable experience. The Opulence Revealed table is set with elements like hazelnuts, almonds, honeycomb, ginger cakes, along with spices such as cinnamon, fresh ginger, dried saffron, vanilla pods. Flowers (Violets, Rose, Jasmine and Iris) and other foods such as honey, chocolate truffles and an aged Parmesan cheese wheel are all presented to help enhance your personal taste experience of XO. 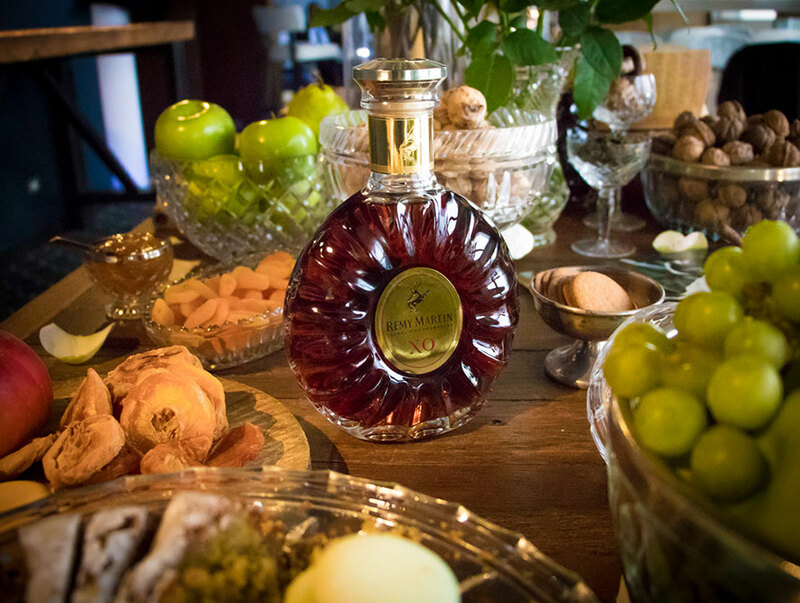 Only the finest, freshest and quality ingredients were tasted alongside the exquisite Rémy Martin XO Cognac. The informative and interactive presentation by Thierry outlined how the House of Rémy Martin is ‘rooted in exception’ from beginning to end in the process of creating Rémy Martin Cognac. From its exceptional family roots, winegrowing, terroir, talent and ageing to produces a harmonious Cognac. The House of Rémy Martin is the only Cognac house founded by a winegrower. It is run by two families who share the same values – the Remy Martin and Heriard Dubrieul families. Even after three centuries, the House of Rémy Martin is still a family run business. Although Rémy Martin was created in 1724 by Mr Rémy Martin, it was a century later that the family created the Centaur emblem representing Mr Rémy Martin’s Sagittarius star sign along with his many qualities as a teacher, hunter, philosopher and herbalist. The Centaur emblem also represents Rémy Martin’s philosophy, they keep their head in the stars while they also keep their feet firmly on the ground. Rémy Martin cognacs use “only exceptional grapes from the exceptional soil.” explains Thierry. Cognac Fine Champagne is exclusively from Grande Champagne & Petite Champagne Cognac regions. This area is protected by an AOC “Appellation of Controlled Origin” (since 1938) and Rémy Martin is the only major cognac house specializing in Cognac Fine Champagne. In fact, more than 75% Cognac Fine Champagne is produced by Rémy Martin. Cognac Fine Champagne is richer and more delicate with outstanding ageing potential and it requires time to fully express their true character. The two areas of Grande Champagne and Petite Champagne Cognac has a unique soil and its own ideal microclimate. The soft and porous chalk soil allows vine’s roots to grow freely. Champagne in French means chalk and this chalk is a unique characteristic of this area. Its permeable subsoil provides an ideal water supply to the vines and it is the chalky soil that produces such beautifully aromatic grapes. These exceptionally aromatic grapes, with superior Eaux-de-vie, will be eventually distilled to create the finest Cognac in the world. 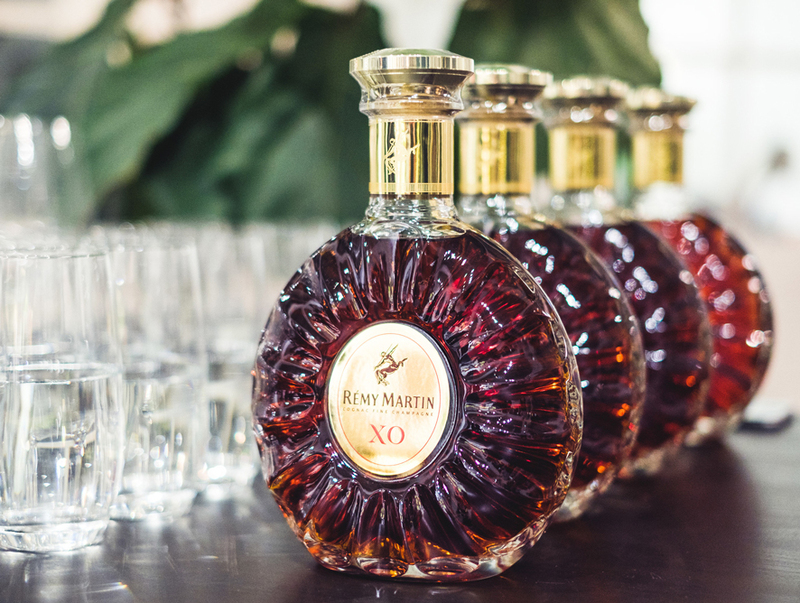 Rémy Martin XO is refined and opulent. It has a delicate fragrance of Jasmine and Iris, candied fruits and cinnamon notes. It also has a wide spectrum flavour profile, with hints of rich fruits, lots of different spices and the lingering taste of hazelnut. The Opulence Revealed sessions bring out all these magnificent notes, fragrances and flavours and they differ from person to person. That is part of the unique experience – individuals will taste different flavours to others, and the amazement and realisation of this become obvious when tasting in a small group. One of the most favourite ways to drink RémyMartin XO is in an Old Fashioned because it is delicate, luscious and full-bodied. The Old Fashioned was developed during the 19th century using Rémy Martin XO to create a full-bodied short, strong but surprisingly smooth classic, boasting the complexity of up to 400 Eaux-de-vie. Making an Old Fashioned is easy, pour Rémy Martin XO, brown sugar and a few dashes of Angostura Bitter and ritually stirred to perfection. It can be paired with either savoury or sweet foods. Next time one of these Opulence Revealed sessions makes its way in your city or state, make sure you’re there to enjoy this unique experience. “There should be more flexibility and freedom in drinking Rémy Martin. There are no set rules about drinking cognac”. Mme Dominique Hériard Dubreuil, Chairman of Rémy Martin. Click here more information on Rémy Martin Cognac range.